This three-part series by wine and cannabis writer Tina Caputo explores the past, present, and future of the Emerald Triangle, looking specifically at factors that have made the area a venerable growing region; current efforts to divide the region into cannabis appellations; and questions of whether the region can maintain its preeminence as adult-use legalization hits California in 2018. The counties of California’s Emerald Triangle—Humboldt, Mendocino, Trinity—are already famous for producing some of the world’s best cannabis, but how many people have heard of Honeydew? Or Bell Springs? These regions and many others may soon become household names under a new program designed to divide California’s cannabis country into distinctive growing areas called appellations. The idea behind appellations—a concept borrowed from the wine industry—is to highlight distinctive growing areas and prevent outside producers from capitalizing on the names of those regions as part of their branding. Just as Napa Valley grape growers say that the region’s unique combination of soils, topography and climate make better wine, cannabis growers believe that the Emerald Triangle’s terroir produces distinctive bud. “In the case of cannabis it’s a little bit of a different world because you have indoor-grown cannabis, you have hydroponic cannabis, and you have sun grown, so you need to make some distinctions right at the outset,” says attorney and wine law professor Richard Mendelson, a consultant on the Mendocino Appellations Project (MAP). 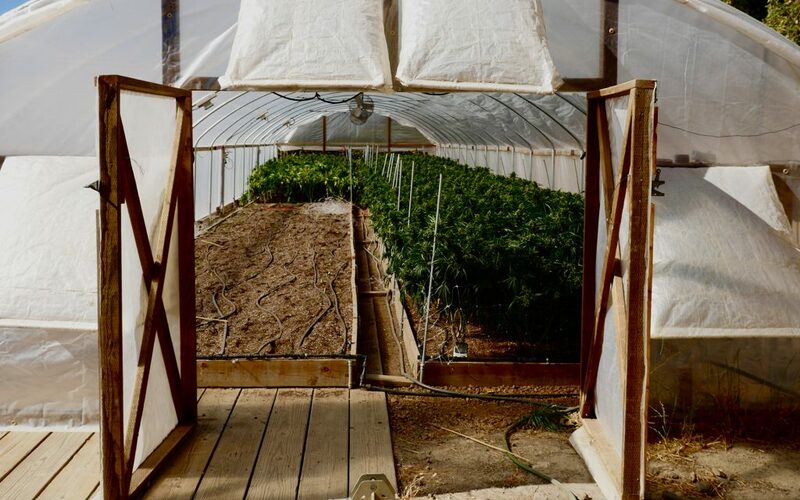 While climate and soil can play a direct role in plant growth, flavors, and effects for sun-grown cannabis, not all grow methods are equal in that regard. Appellations have been a pretty high-priority issue for about five years. That’s why California’s cannabis appellation standards will also include factors like “cultural terroir,” strains, and cultivation practices. Efforts to define the specific parameters are already underway, involving collaboration between multiple state and county agencies, consultants, and members of the local cannabis community. That happened in late June, when California Governor Jerry Brown signed a trailer bill requiring the California Food and Drug Administration (CDFA) to allow “county of origin” appellations by January 1, 2018—the first day of adult-use legalization in California. By 2021, the department will create a framework for establishing appellations of standards, practices and varietals for geographic areas. 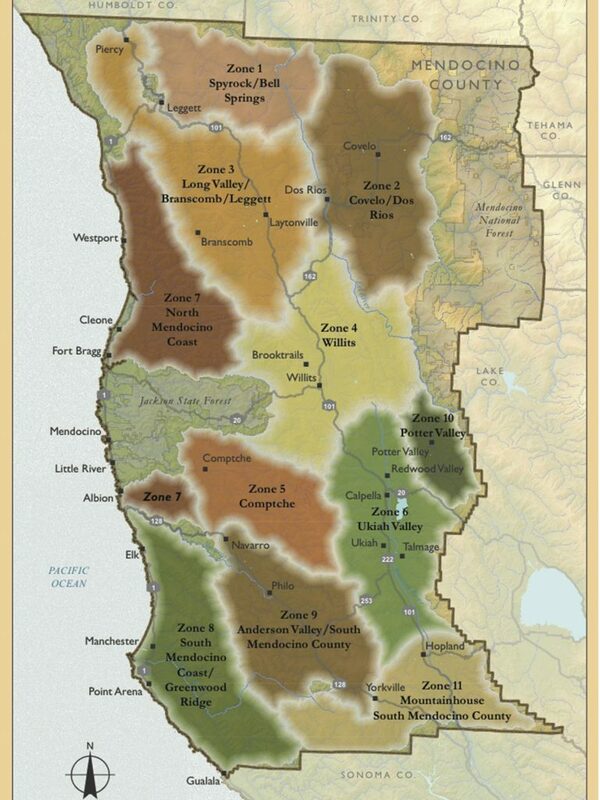 The California Growers Association is now working with the CDFA to set baseline appellation parameters, and Mendocino and Humboldt counties are busy creating an additional set of standards for their own regions. The tricky part will be getting the different groups to agree on what those standards should be. Should growers be required to farm organically? Can they cultivate in greenhouses and still use the appellation name? Do they have to harvest and trim by hand? All are questions with outspoken advocates on both sides of the issue, which makes setting a standard harder than it sounds. Mendocino County has been working on a plan for the establishment of appellations since 2015, when cannabis advocate and grower Justin Calvino launched MAP. While the details are still being hammered out, the county’s standards will have three main qualifiers: traditional knowledge, terroir, and metabolomics. Mendocino's appellation standards will have three main qualifiers: traditional knowledge, terroir, and metabolomics. 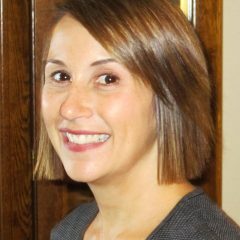 “Traditional knowledge establishes that cannabis is a heritage crop that’s been cultivated in the region over generations, and identifies specific cultivation techniques and genetics that have developed in that region over time,” explains MAP executive director Genine Coleman. As in the wine world, terroir includes physical factors such as topography and annual rainfall, which influence cannabis flower just as they influence wine grapes. Metabolomics refers to the chemical expression of the plant—its cannabinoids, terpenes, and flavonoids. As a starting point, the MAP released a county map in 2015 and updated it last summer (as pictured above). The document outlines 11 proposed appellation zones. The next step is to work with researchers and strategic partners to collect information from the county’s cannabis growers. “Because of prohibition and the veils that exist in terms of accessing data, we really need to get community buy-in,” Coleman says. Organizers for the project are currently working to capture the oral histories of the county’s aging pioneer growers and find farms in each region to help with cultural exploration and scientific research. The challenge, she says, is finding growers who are planting in the ground or moving in that direction, because only they will qualify for Mendocino County appellation of origin status. The process and parameters will be slightly different in Humboldt County. According to Terra Carver, executive director of the Humboldt County Growers Alliance, Humboldt’s appellations will include standards, practices, and varietals (i.e. strains). These may include hand-cultivation and trimming, organic farming, and water conservation. This is a participatory process where the growers themselves get to define what cannabis looks like when you put a map of California next to it. Trinity County is a bit behind Mendocino and Humboldt in drawing appellations, Allen says, but the Emerald Triangle overall is fairly advanced in the process. The CGA plans to have a detailed state map ready by the end of 2017. “It’s less about a final map and more about a participatory process where the growers themselves get to define what cannabis looks like when you put a map of California next to it,” Allen says. 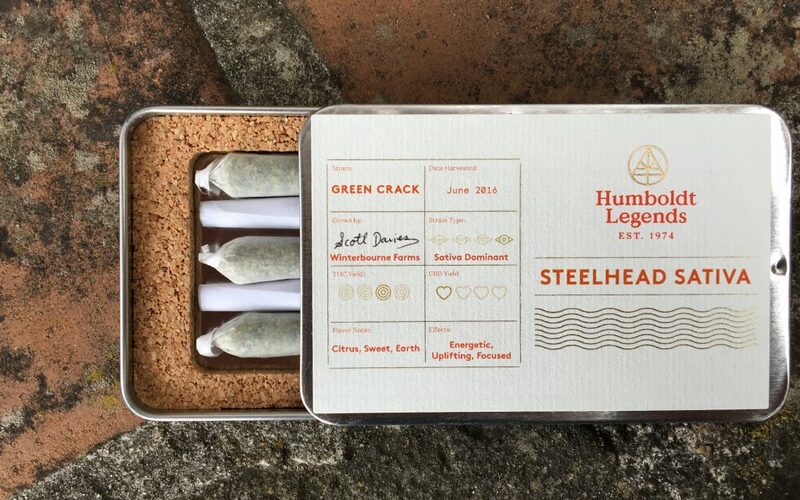 While some skeptics question the ability of the average cannabis user to tell the difference between the same strain grown in Humboldt County versus San Bernadino, the real payoff will be in having legally verified information about the origin, standards, and practices behind the products. Consumers will no longer have to wonder if the cannabis they’re consuming is laced with poisonous pesticides, or grown in a way that harms the environment. Appellations are also a learning opportunity: As counties are divided into smaller sub-regions, details will start to emerge about the microclimates and growing conditions that produce the best bud. I’m talking about shades of perfection here. Historically, many Emerald Triangle cannabis growers planted their crops in locations that were “great places to hide, but not great places to grow,” Davies says, quoting Allen of the CGA. But that’s starting to change. 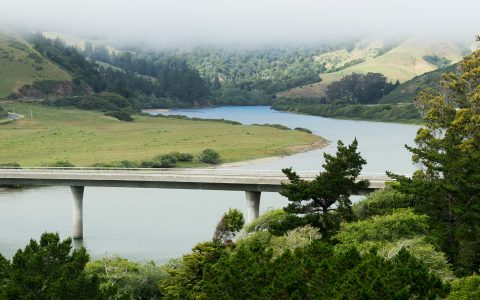 Mattole Valley (Humboldt County): This region in the shadow of the King Range mountains receives some of the US mainland’s highest rainfall, but enjoys bone-dry summers. Mattole Valley includes the Petrolia and Honeydew sub-regions, both known for producing excellent cannabis. Bell Springs/Spyrock (Mendocino County): These remote ridgetop communities lie on the cusp of coastal and inland influences. Their higher elevations bring crisp, dry nights in the late season—superb conditions for maturing cannabis flowers. Mid Klamath (Humboldt and Trinity Counties): Home to isolated and remote communities tucked into expansive wilderness, this area is known for hot summers, cold nights, and dry air that combine to produce some of the world’s best cannabis. Notable sub-regions include Willow Creek and Forks of Salmon/Orleans. Hayfork Valley (Trinity County): Set on the banks of the Trinity River, this area’s cannabis-friendly conditions include hot, dry summer days balanced by cool, dry autumn nights. It remains to be seen what the appellation parameters will be for these and other areas, but establishing those parameters and raising the public profile of the Emerald Triangle’s distinct growing regions is expected to have a major impact on its farmers and the surrounding community. What exactly the repercussions will be remains to be seen. Part Three of this series explores the potential effects of creating cannabis appellations in the Emerald Triangle. If folks really think the ET is such a great agricultural area to grow Cannabis outdoors then what is the other agricultural crops that do so well and are grown in this area? I mean like Salinas? I predict people will grow where farms already produce agricultural crops, not in the hills on poor soil, and is just to wet. The article is about ’boutique’ or ‘Artisan’ cannabis. Daily ambient temperature swings of 30 degrees or better, without exceeding 85 as a high is much different than Salinas. The summers are dry up there, wet isn’t an issue during the growing season. Soil is pretty much what you make it. Sure, Salinas is poised to produce scads of mersh, replacing part of the cut flower industry. This is where the ‘branding’ comes in, small growers won’t survive without it. I’ve lived in California since the 1980’s and love Cali bud, but the truth is there is nothing special about Northern California in terms of soil, water, micro climates etc that makes it a “special” place to grow cannabis. What is special, is the accumulated knowledge of the locals who’ve been growing there for generations. The most outstanding bud I’ve ever consumed in terms of taste and high is Hawaiian. Hawaii’s volcanic soil will beat California’s soil any day of the week. However, a knowledgeable grower will be able to create outstanding soil which will lead to outstanding cannabis. Cali wants to think it’s special just like the film industry. Guess what? It’s not. Just like East Coast, Atlanta for film is taking away from expensive greedy Cali business someone will find a new area to grow pot. I think it’s much Cali hype at this point because we are not as attractive to new businesses here. Taxes are high, infrastructure is weak, roads have too much traffic…. Soil is over used. And oh, we have a water shortage to boot. We’ve been in a drought for like 20+ years and have cut off a lot of SF based farming. You drive to SF from LA and you see nothing but closed farms and angry agriculturalists. Appellations and terroir? 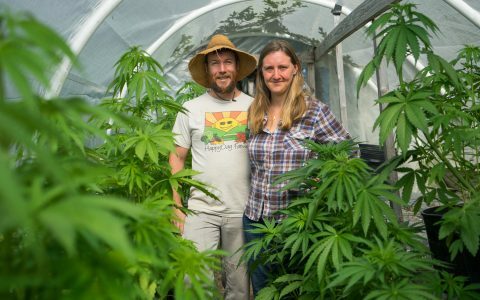 Do you realize that everyone growing in Humboldt, including outdoor cultivators, buy and import all their soil, every season? Then they dump the used soil in the forest. This has a terrible impact on the forest habitat, and a gigantic carbon footprint. I was wondering about this, maybe it’ll be covered in part 3? The article touched on it when they talked about ‘growers who plant in the ground, or are moving in that direction’ as the only growers who will be allowed the artisan designation. This means some few are dipping their toes in the actual soil. Eliminating potting soil in favor of native soil based organic farming methods will separate the true growers from the opportunists. I grow the best indoor cannabis in the world because I pay attention to what I’m doing and I grow it right. Never under or over water. Never under or over fertilize. Use a high quality potting soil. Bottom water if you can. Add microbes to your plain or fertilizer water. Fresh air intake. Gentle air circulation. 24/7. Pay attention to your plants and their environment. Are we talking mass production or your personal supply? Makes a big difference in context to this discussion. Sure I can grow my own bud with my own equipment and it’s just as good, but we are talking mass production for investments to trade eventually on the stock exchange. I hope so… I grew up in WIllits. I still live in Norcal, but not in the ET anymore. I hope it goes commercial everywhere and the price of property and cannabis goes down. I grow better bud than almost anyone I know. I think that competition is good for everyone. We need another farming alternative (essentially it is farming pot), because for some reason people think growing, farming, agriculture in this New Age propoganda is not depleting Earth’s minerals, nature and it does…. We had a war between Agriculture and Industrial revolution once. It was a Civil War and the Industrial / Tech revolution won. Now Agriculture needs another revolution to not damage the Earth or we are back to square one again.